The windmill museum in Etzikom, Alberta is a fascinating place to visit while traveling through this part of the country. Each windmill was used in the past and there is a story of the history of each one for you to read. Various styles of windmills on display at the Etzikom Museum South East Alberta, The Canadian National Historic Windpower Centre, Etzikom, Alberta, Canada. Opened on June 15, 1995. 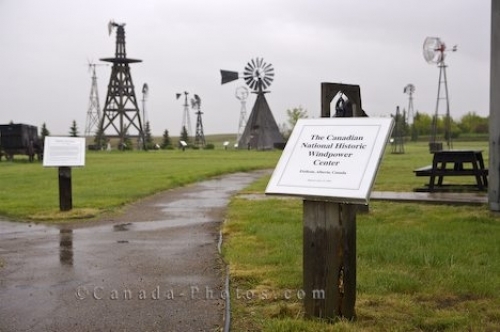 Picture of the Etzikom Museum in Alberta where a windmill sits every few feet along with a historic story of its life.